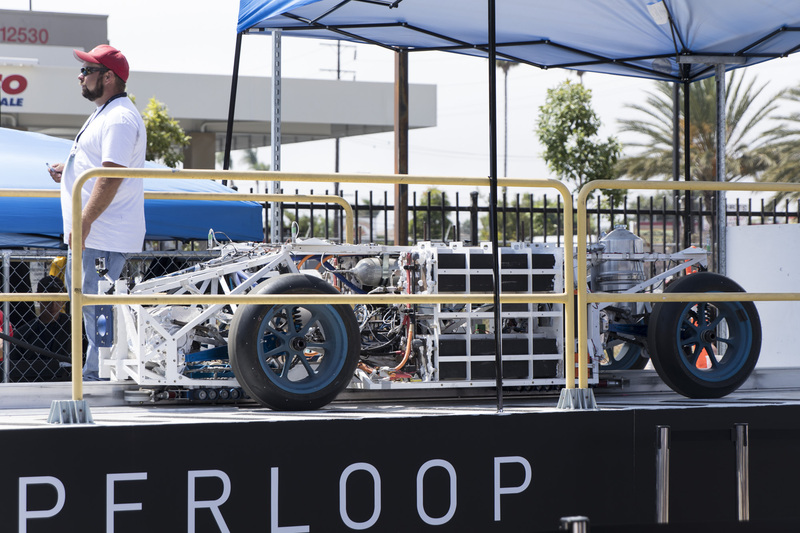 Elon Musk apparently felt left out when student teams competed to achieve top speed on the SpaceX Hyperloop test track last weekend, because he decided to run the SpaceX pusher vehicle, which includes a Tesla drivetrain, down the track on its own to see how fast it could go. The Tesla/SpaceX vehicle, which works basically like a Hyperloop tug boat to propel some of the student pods that don’t have their own built-in motor for acceleration, managed to get up to 220 mph in the sealed vacuum tunnel, which is faster than the winning student team at 201 mph. The pusher got its own shell for the event (normally it looks like what you see below to get the student pods started) and Musk said that with a bit more work, including some minor design changes or added hardware, it could get up to around 500 km/h (311 mph, or roughly half the speed of sound). This definitely means the bar is set higher for future student pods in the next SpaceX Hyperloop Pod design competition, which Musk confirmed will happen at this most recent event. In case you missed it, check out the video recap of that competition below.